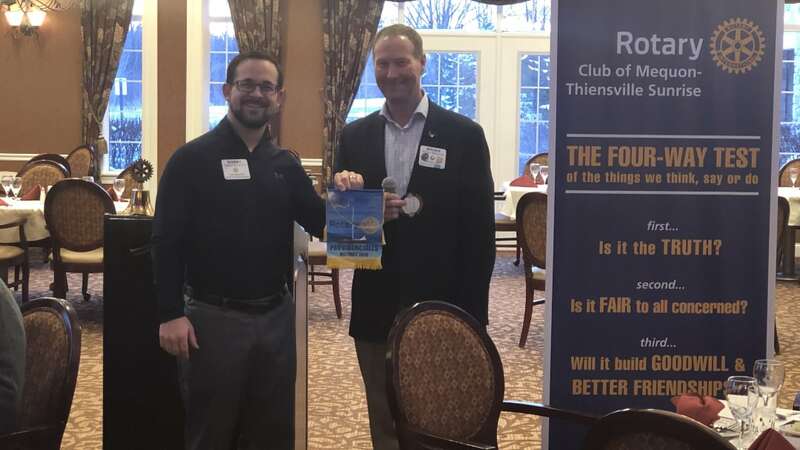 Club President Bobby Fisher (pictured left) accepts a Rotary flag Brian Monroe (pictured right) brought back from his recent visit to Providenciales. Providenciales, known locally as Provo, is an island in the Turks and Caicos archipelago, in the Atlantic Ocean. It’s ringed by soft, sandy beaches, many of them on the north coast. These include expansive Grace Bay Beach, a water sports hub with resorts, shops and restaurants. The island's snorkel sites include Smith’s Reef and Bight Reef.